Congratulations to our chess team. Having beaten St. Kevins, Scoil Aonghusa, Scoil Treasa and St. Marks they are in top position. They have one game left and will then be in a play off for the Tallaght Schools Chess Shield. The team consists of Jack Byrne, Darragh Barry, Callan Carey, Cian Donoghue, Jack Hegarty, Andrew Noctor, Ben Sherlock, Eoin and Josh Lambert and last but not least, Josh Dunne, a fourth class boy showing great promise. 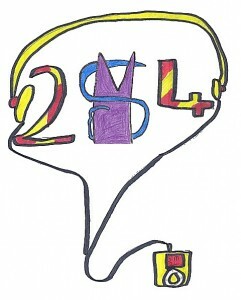 Welcome to SM24, the new radio podcast for Scoil Maelruain Senior. Thanks to everyone who has contributed to our debut episode. Well done to all the students who represented our school at the Credit Union Quiz in the Maldron Hotel. The senior participants were Keith Fitzsimons, Emma Nolan, Mark Nolan, Callum Dunne, Aaron Williams, Eoin Lambert, Jack Hegarty, Chloe Stanley, Ben Sherlock, Ann Marie Keane, Jack Byrne, Ailbhe Carey and Callan Care. A big congratulations to the winning senior team of Kudai Twfamba, Januel Lojo, Ryan Walsh and Daniel Nevins. The junior participants were Daniel Hamway, Sean Brownlee, Joseph Plunkett, Scott Leigh, Conor Kinsella, Ben Noctor, Jamie Lambe, Daniel McCarthy, Liam Keirnan, Dylan Nevins, Logan McBride and Chloe Clinton. Congratulations to the winning junior team of Cillian Lacey, Chloe Condon, Ben Murray and Jade Willoughby. The two winning teams will be representing the school in the next round. Best of luck to both teams. Here are lots of examples of the beautiful art that is around our school at the moment. Well done to all the students this week.